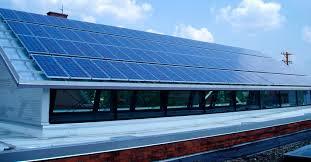 The European Parliament advocates not to tax the self-consumption of solar energy with taxes "of any kind". In addition, it is committed to raising the target of solar power for the European Union to 35% in 2030, compared to the goal of 27% set at present. Renewable text approved by the European Parliament is committed to promoting the consumption of renewable energy in the bloc by urging members to "ensure that consumers have the right to become auto consumers of renewable energy by using solar panels" states. For this purpose, these consumers must be authorized "to self-consume and sell (...) their surplus production of renewable electricity without being subjected to discriminatory or disproportionate procedures and charges that do not reflect the costs. Something which the current Spanish Government is doing in flagrant fashion to aid the big electrical companies in detriment of the citizens. There have been long legal battles on this subject which we have written about it in previous articles. In addition, the Spanish MEPs approved an amendment asking to allow the consumption of electricity from renewable sources of own production and remaining within their premises "without being subject to taxes, fees or taxes of any kind". This amendment has received 594 votes in favour, 69 against and 20 abstentions. 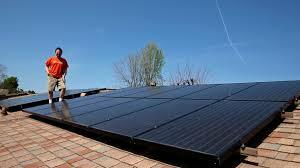 One step forward on solar panels. "We have armoured the citizens against something that was a battle, which is to ensure self-consumption as a right. The consumption of renewable energy as a right and eliminating administrative barriers and prohibiting measures such as tax known in my country, as “the sun tax ", emphasized the Spanish Socialist Blanco. Asked about the future of this amendment in the negotiations with community partners, Blanco has relied on having the support of the European Commission has warned that the Parliament will not give up, given the support it has received this part of the text. In addition, the full European Parliament has called for raising the renewable energy target for the European Union to 35% in 2030, compared to the target of 27% set today as part of the efforts of the bloc to meet commitments acquired in the Paris Agreement. The Spanish MEPs approved with 492 votes in favour, 88 against and 107 abstentions the report of the socialist party PSOE Euro MP José Blanco, which sets the position of the European Parliament in the face of the negotiations that should start now with the Council of the EU, the institution community representing the Member States, which advocates maintaining the target at 27%. "Today we can say that the European Parliament has given a clear and unequivocal message to meet the objectives of Paris and to promote an energy transition based on clean energy and renewable energy," Blanco stressed at a press conference after the vote, in which he has also described the EU Council's position as "erratic" and has relied on being able to change it. To achieve this percentage at the community level, countries must set their own national objectives, which will be coordinated and monitored under another legislative project on energy governance, which has also been approved. On the other hand, the MEPs agreed to set an energy efficiency target for 2030 of 35%, which will be calculated from the projection of energy consumption for the same year according to the PRIMES model, which simulates the consumption and supply of energy in the EU. The EU's Renewable energy directive sets a binding target of 20% final energy consumption from renewable sources by 2020. To achieve this, EU countries have committed to reaching their own national renewables targets ranging from 10% in Malta to 49% in Sweden. They are also each required to have at least 10% of their transport fuels come from renewable sources by 2020. All EU countries have adopted national renewable energy action plans showing what actions they intend to take to meet their renewables targets. These plans include sectorial targets for electricity, heating and cooling, and transport; planned policy measures; the different mix of renewables technologies they expect to employ; and the planned use of cooperation mechanisms. Renewables will continue to play a key role in helping the EU meet its energy needs beyond 2020. EU countries have already agreed on a new renewable energy target of at least 27% of final energy consumption in the EU as a whole by 2030 as part of the EU's energy and climate goals for 2030 which they are trying to raise the figure to the 35% mark. On 30 November 2016, the Commission published a proposal for a revised Renewable Energy Directive to make the EU a global leader in renewable energy and ensure that the 2030 target is met.